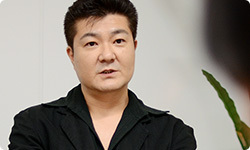 Ishii-san, what is your sense of accomplishment like now that you have completed The Legend of Zelda: Ocarina of Time 3D? This is self-praise, but I think everyone at Grezzo really did a great job. The staff found it immensely rewarding and the expressions on their faces when they were done told the whole story. I think that is because it was both hard and fun. I feel like the biggest nourishment this time was experiencing that same feeling that the original staff had. Grezzo proposed a lot for this game. I often tell the staff members that we don’t make a game because someone tells us to, rather we look ahead and make preparations. If we didn’t have that attitude, we would lose our vision of what we should do further down the line. We did ask you to take on this challenge because we expected much from you, and were certain of your attitude toward making video games and of each of your individual strengths, but I feel like you gave it something even more. Thank you. When I struck out on my own with Grezzo, I was extremely interested in the high quality of Nintendo’s games. I feel like I got a hint of what lies behind that by working on this game with Miyamoto-san, Aonuma-san, Shimizu-san, Haruhana-san and Takizawa-san. The overall picture of something only becomes clear when many people look at it. Many at Nintendo adopt that viewpoint. What’s more, everyone revises and expands on each other’s input and views it from the X axis, so to speak. And I thought it was incredibly interesting how someone like Miyamoto-san adds to that by looking at it from the Y axis. Do you mean like Miyamoto-san’s bird’s-eye view? Yes. 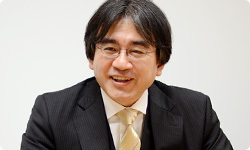 When Miyamoto-san was playing the game, he said, “This will make the players happy or not...” That simple statement made a great impression on me. 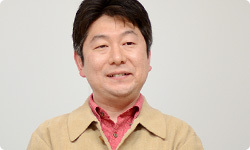 Miyamoto-san has a special strength for seeing things, for changing his standpoint, its height and breadth. I also think Miyamoto-san’s capacity for changing his viewpoint is amazing. The speed with which he finds a new viewpoint and the sheer number of means at his disposal is astounding. This time, I was able to see up close how Miyamoto-san’s point of view raises the entire Nintendo staff to a higher level. Something incredible about Nintendo is how so many people try to raise the level of their entire project by upholding the director’s vision, saying, “How much better can I make this within my own area of expertise?” So we at Grezzo couldn’t simply let you show us up! I see. How about you, Tonooka-san? When it first came to developing a game for hardware that hadn’t been out in the world yet, I experienced a mixture of excitement and trepidation. But as I talked with Miyamoto-san, Aonuma-san, Shimizu-san and Ikuta-san, my trepidation slipped away. Through talking with everyone, I was able to face everyone’s memories of the old game and solve each issue one by one. You wear a pleasant expression that says you overcame something. How about you Moriya-san? Really? Was there really such a note? Like a time capsule, the source code contains feelings from the past. 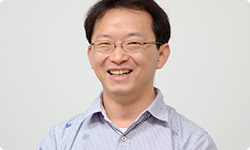 When the staff members saw the source code, they got really motivated and development fell into a nice groove. Something that really pleased me was when we submitted the first ROM and everyone at Nintendo said, “Ahh, this is The Legend of Zelda!” That helped me. Because of that, I thought, “This is the right way to go!” and felt at ease. I was surprised then at how much you could do in such a short period of time. 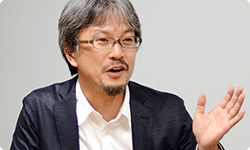 Aonuma-san, when we saw everyone enjoying the ROM, it really encouraged us. Seeing those happy expressions on the faces of the original staff members strengthened our feeling that we could make a good version of The Legend of Zelda: Ocarina of Time for the Nintendo 3DS system. I see. How about you, Ikuta-san? I don’t think releasing exactly the same game would have been very pleasing - to me, either. My own feelings and environment have changed over the years, so if I were to play the same game, it wouldn’t move me the same way. But with this game, it’s like the same feeling from before is in my hands but as something new. I want as many people as possible to experience that. That’s right. If anyone thinks of this as a simple port, I would like to ask that they take a second look. 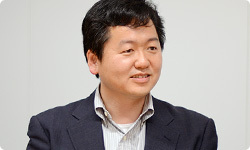 As one in the Tokyo Software Development Department, one who in some ways was closest to Grezzo, how did it look to you, Shimizu-san? The Legend of Zelda: Ocarina of Time is one of my favourite three games, so my first feeling was, “I’ve got to do something!” As I played through, I thought that Grezzo truly had done a fine job complementing my memories of the game. The game has lots of sub-events, so it would be a shame to just look at the Hint Movies and race to the end. I hope players will flounder around a bit as they move forward. And the Nintendo 3DS system has the Game Notes function that you can use anywhere - perfect for this game. If you think you might forget something, you can press the HOME Button and take notes as you play. Alright. How about you, Aonuma-san? I really feel as if everyone helped me out this time. Grezzo’s desire to do an ever better job came across every day and we developed a relationship of trust, so we could make all sorts of unreasonable demands! 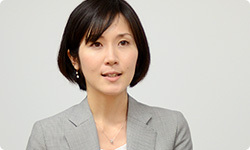 And Shimizu-san did a lot to help in Tokyo and Ikuta-san produced solid reports on the situation at Grezzo and thought together with me about what we should do. That made my work as producer easier and more rewarding each day, so it was enjoyable. I’m also really pleased to hear the staff from Grezzo say that they could sense the feelings of the original staff. I want to thank them for making the game in consideration of our feelings. I’m surprised they could. The original team plunged ahead into impenetrable darkness 13 years ago with nothing but confidence, youth and enthusiasm, and that willpower - through the comments in the source code - “possessed” the developers at Grezzo. As a result, the original team accepted Grezzo’s output and you passed ideas back and forth, saying, “It would be like this now.” Seeing that, I felt like it was a kind of miracle. I do think it’s a miracle. The game born of that miracle is not just a port. It is The Legend of Zelda: Ocarina of Time reborn today at an even higher level! While I may be going a little overboard, I feel like The Legend of Zelda: Ocarina of Time is a miracle that was meant for the Nintendo 3DS system all along! Yes, it was destined to turn out this way 13 years later. I’m glad we could have so much fun talking today. Thank you.